A rather poigniant picture of Pete's last shot in the MCC game on Twitter. 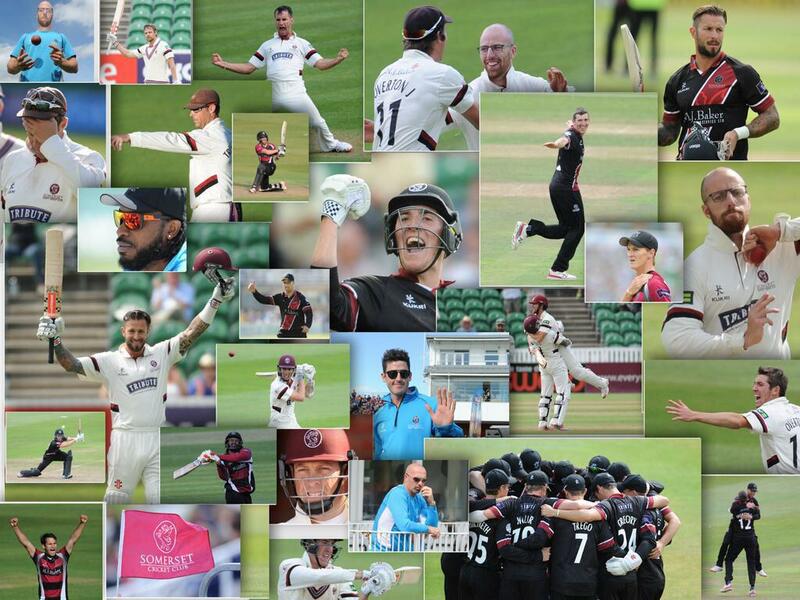 He sees that as his last blast in First Class cricket and if he is right I think it is a point to take stock of the massive contribution Trigger has made to Somerset CC over the years. The 50 plus wicket season and the Yorkshire chase stand out for me but there are soooo many others. I'm not sure he"s done yet but he should be mightily proud of a career of real quality. Thank you Mr Trego! You are not finished yet I venture. Edited 2 time(s). Last edit at 30/03/2019 15:10 by Grockle. By the time Trego marched to the wicket Hildreth and Craig Kieswetter had gone and Somerset were 338 for 5, still 138 short. The match was in the balance with all four results, as they say, possible. What followed, as clouds began to close in, was a never-to-be-forgotten sight. Supported first by Langer, and then by Zander de Bruyn, Trego launched one of the greatest Somerset batting assaults of all time. The pummelling of the boundary apart Trego’s innings is a blur. The scene is not. As the impossible turned into reality everyone I could see in every part of the ground was transfixed as if in a photograph taken at the moment the realisation dawned that they were witnessing a rare miracle on the cricketing stage. Perhaps they were held there by the fear that if they moved they might break the spell. Perhaps trying to absorb what they were seeing. Between the gaps in the stands stood people with statue-like stares fixed on the middle. Among the statues were dotted about the high-viz jackets of the stewards. All had deserted their posts, drawn inexorably to the boundary by a happening that transcended all duty, their eyes as fixed on the middle as the eyes of those they were supposed to steward. And, in truth, there was nothing to steward for no-one but the figures in white moved. 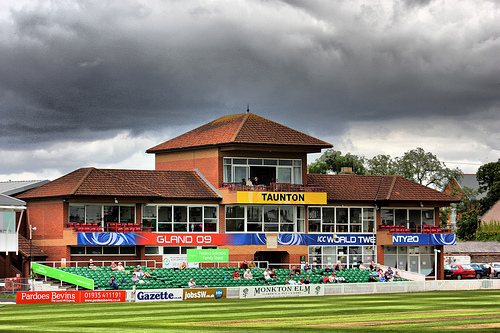 The figures in white, and the thickening clouds gathering as they threatened rain and added another layer of tension to the Somerset supporter’s overloaded mind. Then the tension exploded into instantaneous and thunderous applause and cheering as Trego reached his hundred. In an instant all that could stand stood, with arms, if like mine, numbed with nervous exhaustion, applauding above heads in every part of the ground. And then, just as the win had become as inevitable as the draw had been at the start of the Somerset innings, the clouds that had tantalised began to deposit their contents in play-stopping quantities. Too late. 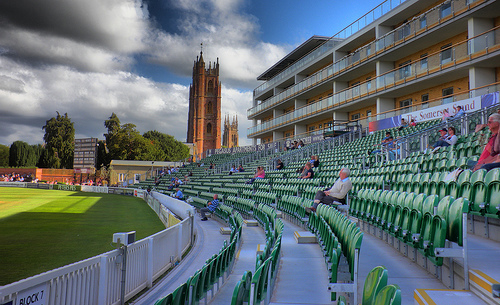 De Bruyn drove Azeem Rafiq over mid-wicket to the Ondaatje Stand for four and Somerset had completed the highest successful run chase in their history. And Peter Trego had unlocked the gate to the pantheon of Somerset legends. Legends are rarely made in an afternoon and Peter Trego’s status does not depend just on that afternoon. Another run chase took place on another afternoon. This time in glorious sunshine. 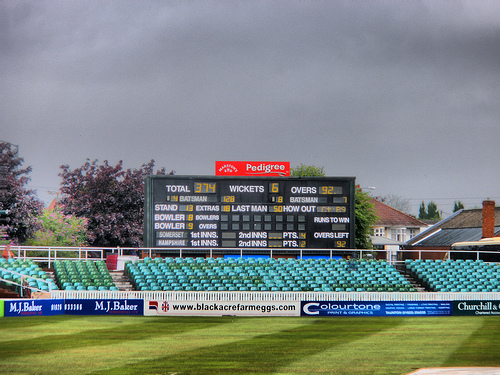 7th September 2012 at Hove. 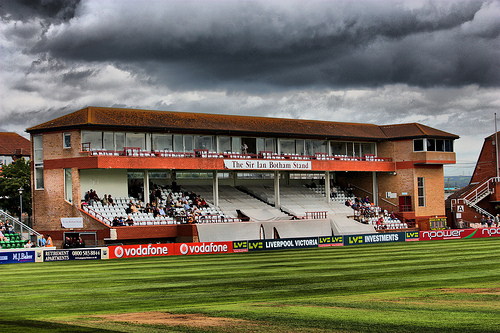 Sussex had been bowled out in the middle of the third day leaving Somerset 396 to win. Trescothick and Suppiah both made 70s on the third afternoon but Somerset entered the final day with four wickets down, still needing 241 to win with Hildreth and Alex Barrow at the wicket, barely a run on the board between them and only Peter Trego to offer hope to follow. And from Trego’s bat the ball flew, if through the air. The frequency with which it flew through the air put hope and anxiety in equal measure into every Somerset heartbeat and, I imagine into every Sussex one too. But as the afternoon progressed the realisation dawned that those airborne boundaries were flying between rather than over the fielders. The realisation dawned too, on those of us holding our breath, that a match that had started the day as a defeat waiting to happen was turning into another Somerset cricketing miracle. Peter Trego, of course, is not just a batsman. As if seeing those two monumental performances was not enough I was fortunate to be at Headingley for his career best bowling performance. 26th September 2014. He bowled with his usual determination and accuracy and he bowled more overs than anyone else through a long Yorkshire second innings of 365 to take 7 for 84. It didn’t quite leave Somerset enough time to win the match. However, it did result in numbers of the Yorkshire members around me on the Pavilion terrace shouting warmly and with feeling, “Well played lad!” as he walked in at the end of the Yorkshire innings. Yorkshire members are objective and even-handed in their praise of good play but the praise has to be earned to be delivered. 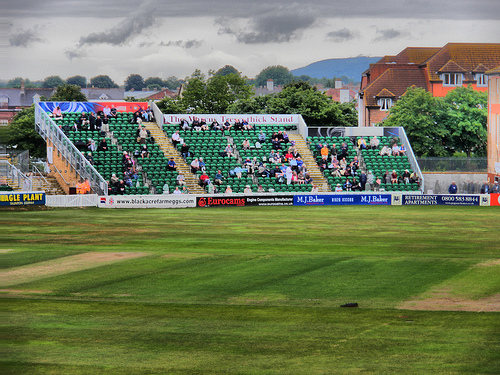 Their shouts, as they saluted a Somerset legend, will long remain in the memory. Edited for typos and like misdemeanours. Edited 1 time(s). Last edit at 05/04/2019 17:19 by Farmer White. Warmed the cockles of this morning's damp 💓. There were a few of those at the end of the 479 for 6 Shepton. We had been down for the Yorkshire game and when Yorkshire batted on in the last morning we sort of agreed that we might start our trek back to Northumberland after lunch. We didn't, we rejoiced right to the end and Mrs GM still tells me I had a silly grin on my face for the whole of the drive, which got broader as we drove through Yorkhire. As is rightly said one innings doth not a legend make, but thank you Farmer for those memories. I was on the commentary with Kerslake Junior for the end of the game in the garden shed by the Botham and we had to apologise while we went out and danced with the people from the CA pavilion. Great day. The best part was when Pete tried to reverse sweep twice in his first over facing and got the wrath of Justin who strode down the wicket to tell him is he didn't hit straight he would not play again that month. He straight drove the next two for 6 and the rest is glorious history. I feel grateful and priveleged to have seen PT in full flow with both bat and ball. Whilst his four day career may be over, I'm hoping there will be plenty more to come in the white ball format. Thank you Peter Trego ! It seems quite unlikely, in these days of constantly shifting county allegiances, that any other three cricketers at one county have achieved - let alone earned as ours have - the breadth and depth of popular affection that Marcus, Peter and James have here. Actually I'd be quite surprised if it could be said of any three at three different counties.